When taking about the best way to preserve food and keep it fresh, generally we would turn to fridge for help. But fridge is not so versatile as we thought. 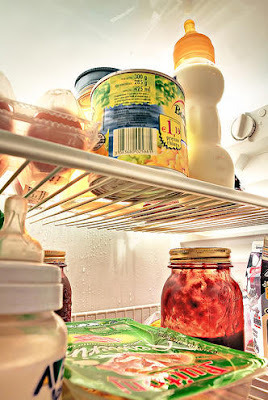 There is certain food or fruit that cann't be put into the fridge and sometimes the fridge environment offers the best condition for bacteria to grow in some food. So we need to pick out those food that wasn't the fridge type. The most common one we often buy is tomato, which would be ok if just put in the normal temperature with good wind circulation. Orange is also not suitable to put in the fridge, so bring them out. Fridge offers us great convenience to preserve food, but the best way to keep the nutrition is to buy fresh vegetable or fruit very often. Fruit or left-over food put in the fridge may lost their original taste and flavor, that maybe a little upset. We know Chinese people are fond of making the salted meat, which has been processed with the salt to absorb all its water, and bateria may die too. In this case, the salted meat is not needed to put in the fridge.